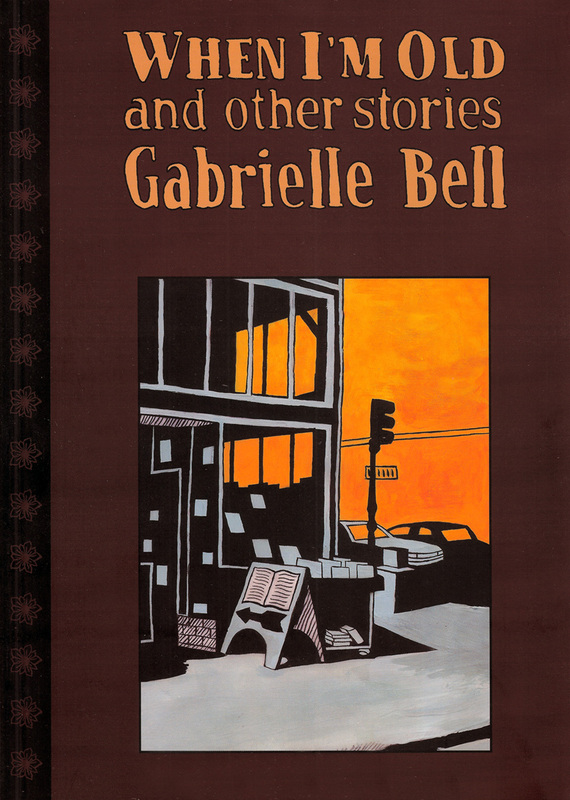 New York based cartoonist Gabrielle Bell brings together for the first time thirty-five of the popular “Book of” series, plus several extra short comics, displaying the broad range of Bell’s storytelling and cartooning talent. Her fiction includes Book of Black, a story of Kate, a pretty young rhinoplasty assistant who encounters happy-go-lucky street people, a lascivious landlord, vapid co-workers and Trent Reznor on her descent into madness. “Amy was a Babysitter” takes a sweeter tone in which the wanderlusting heroine spins captivating tales about a world she imagines to be outside the small town she wishes to leave. “The Fairy Tale About the Wicker Chair,” is an adaptation of a Herman Hesse story about a self-styled young artist whose furniture will not sit still long enough for him to sketch it. “Anatomy of the Heart” attempts to discover the source of and the cure for broken hearts. Bell’s autobiographical tales feature the author as an eccentric old lady, a five hundred foot tall woman, in england, in mexico with a baby, and being charmed and hypnotized by colorful San Francisco characters.